We love to hear back from our customers after your show is over or your event has past and enjoy listening to all the stories that our directors, costumers, actors, and other customers have to tell. Here is what some of our customers have been telling us about us! 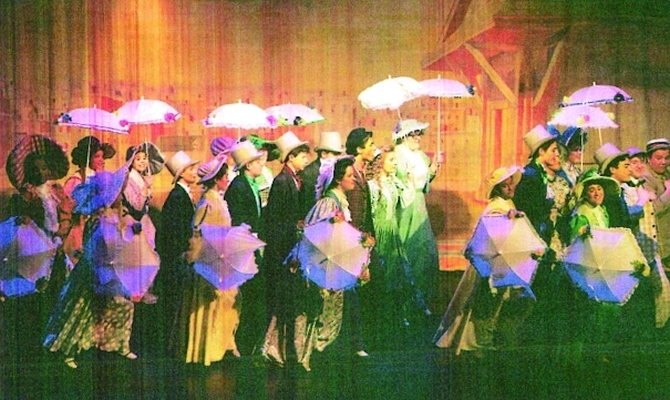 "The show was amazing and people RAVED about the costumes!" 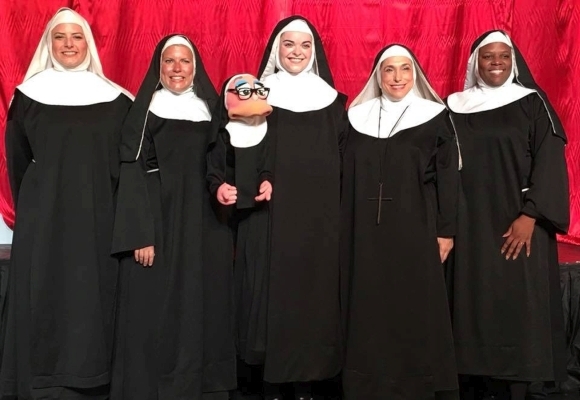 "As the stage manager for our theater's production of the musical, "Nunsense" we contacted The Costumer because we wanted our nuns to look as authentic as possible. Patty was so incredibly helpful in answering all of the questions I had and really helped facilitate the ordering process to insure our production would have the professional quality we wanted to achieve. The end result was even better than we expected! Our nuns looked incredible on stage! We especially appreciated that the costumes were guaranteed to arrive one week before we opened and we actually got them 2 days earlier which allowed for plenty of time for our actresses to rehearse in them before we opened. I found the entire process of working with The Costumer and Patty to be a very positive experience from start to finish. I highly recommend this company to anyone who is looking for professional costuming needs at a very affordable price. We will definitely be using The Costumer for our costuming needs in the future!" "I wanted to let you know how pleased we are with the costumes we received this year!! I can honestly say that in all of the 10 years that we have been renting from you there has NEVER been a time when I was not totally satisfied. Usually I've been beyond satisfied. This year was no exception. My satisfaction always begins right when your staff answers the phone. ALWAYS courteous and helpful, they genuinely seen excited to help me find exactly what I'm hoping for, which at times can be rather obscure, but they've never been stumped! There have been times when I've been tempted to go to a local place and therefore not have to pay the shipping fees but I can not bring myself to do it because I just can't imagine any experience being as good as the ones I've had with The Costumer. I have attached a photo of our little group from this years recital." "Here is proof of the beautiful job you all do at The Costumer! Thank you from the bottom of my heart!" "We at Who Killed Hazel Drew?- The Sand Lake Murder that Inspired Twin Peaks are so grateful to Debbie at The Costumer on Barrett Street in Schenectady. 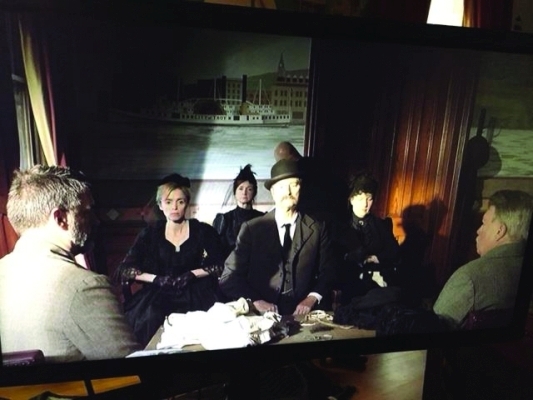 Here's a monitor grab of this weekend's shoot. I'd say Debbie NAILED IT. Thank you so much! We will be back!" "Everything looks amazing! The kids have not seen everything yet, they will be in the performing arts center tomorrow (when I start to fit) and they are going to be so excited. Thank you thank you thank you!" "Thank you so much for such AMAZING costumes!" "The show looks GORGEOUS and the kids are so excited." "I have had the pleasure of working with the Costumer for many years. I am continually impressed with their timeliness, professionalism and communication. As a teacher managing a hectic work day, it is really refreshing knowing you have a creative partner who make logistics really easy. Each costume I've rented has been a fabulous fit and look for my performers, and that isn't an easy task. I make it so hard for them, in fact, because I have middle school students being outfitted for adult roles by the dozen! They never make me feel like answering my questions is a chore. The Costumer has a wonderfully communicative staff who are courteous and helpful. I'd recommend The Costumer to anyone looking to outfit performers!" "The students are very excited to preform tonight. I am so grateful to you and the staff at the Costumer. 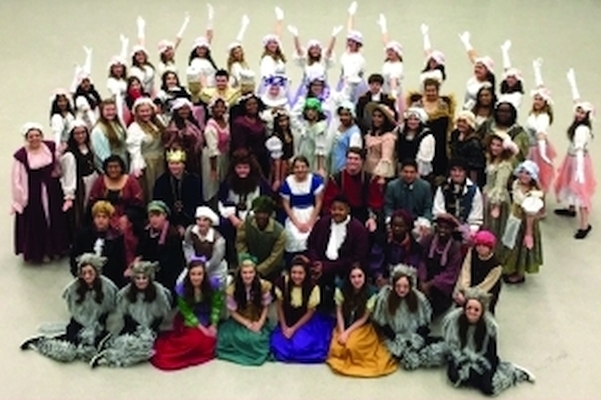 I work with many companies and all kinds of people during the production of the High School Musicals, and very very rarely do you find such caring and professional people. You should be very proud of what you do! Although I am sorry you had to drive to Scarsdale, I am so happy you were able to see the joy on the faces of our students! I hope to work with you again in the future. " "Thank you so very much! Your company's customer service is, in a word, outstanding! Our 'Little Women' thank you..this performance is the 'Senior Swan Song' for Jo, Meg and Amy. We will come to you next year for the 'Senior Swan Song' of this year's Beth"
"I have had the pleasure and privilege to be associated with The Costumer for 35 plus years representing both institutions! Brenda, Patty, Andrew (sales) and all the employes have been just outstanding, accommodating, and reassuring. As a Director, you will not find any other company who does more for you. Take it from experience, order from The Costumer, You will not be disappointed." "When I began researching costume companies for our program in April 2004, I had no idea the gem I had found when I finally settled on The Costumer. We have now ordered for nearly 40 productions! Needless to say, this company consistently meets the needs of our creative team. The quality of the product and service stands second to none, but the commitment that The Costumer has to that quality is what brings me back time and again. After so many years, I feel as if The Costumer family is a part of our creative team, our family. If it seems to good to be true, this is one of those rare occasions where it isn't. The Costumer affords you the opportunity to work with awesome customer service, receive a quality product in a timely manner, and be billed fairly for services rendered. Thirteen years seems like a lifetime, and I can honestly say at the end of the day, my loyalty to this company has never wavered, not once." 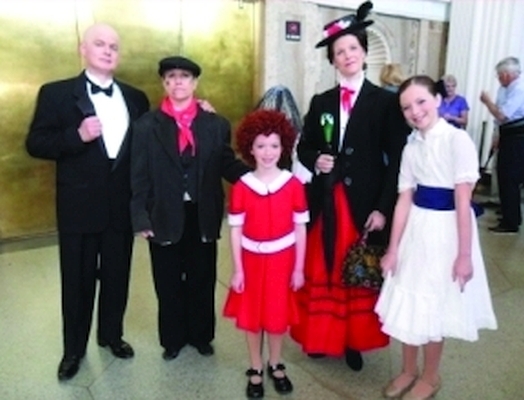 "It was wonderful to pack and return the costumes without cleaning them first. It was so easy to check in each costume at the end of the last performance and re-bag and tag them without the hassle of cleaning. Renting from the Costumer was worth every penny!! The costumes were beautiful and our show looked wonderful!! Thank you so much! We will definitely be renting from you again!!" "Thanks for accommodating various middle school age students with different sized girls/boys -> plus size." 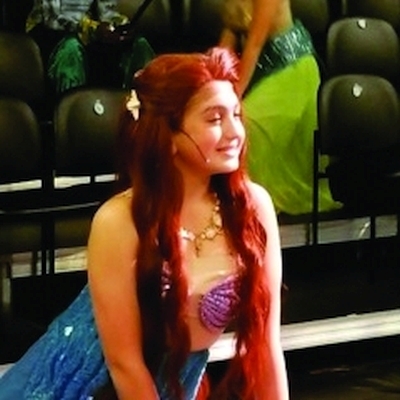 "People loved the costumes they really helped make the show"
"Great experience! Ordering was such an easy and smooth process!" "The most beautiful production in my 12 years as producer/director. My cast suddenly came to life on stage! "I can't believe how easy the whole process was. The Costumes were so beautiful! I will use you again! "Customer service was absolutely first rate. Everyone accomodated my constantly changing requests with patience and expediency." "Service was outstanding! Great people!" "I was very pleased with the quality of merchandise and the speed at which we received the costumes." "I have never had such a great rental experience as this. Your follow through and attention to customers is amazing - Thank you!" 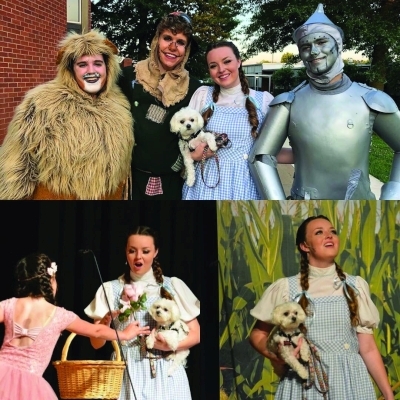 "We have always been very pleased with the quality of costumes rented and props purchased. You have helped tremendously with racing against time with last minute stuff!! Thank you!" "Our costumes have arrived and I just have to say that that these are better than I ever could have imagined!!! Thank you so much!!!"